Looking for a way to earn some extra spending money and meet friends? We invite all students to work for the award winning Purdue Dining & Culinary department. In Dining & Culinary we have experience with the student workforce and know that academics are your top priority. Most of our students work 8-12 hours per week. We hire both work study and non-work study students. No experience is necessary to apply. Students working in Dining & Culinary receive a meal benefit for each shifted worked. 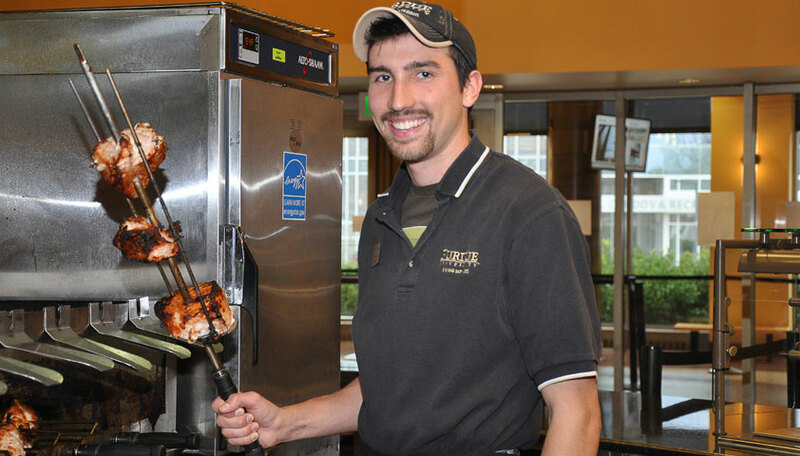 Purdue Dining & Culinary is flexible with scheduling around academics and extra-curricular activities. In fact, data reveals that students who work a part-time job do better academically than students who choose not to work. Purdue Dining & Culinary offers many opportunities for students to learn and master skills that employers are looking for, such as time management, how to relate to others, problem solving, how to handle conflict, multi-tasking and leadership. We have a wide variety of jobs for students to choose from along with promotional opportunities for students to work on these skills in a learning, educational, and understanding environment.